Mercy Asiedu was selected to join the 2019 class of the Schmidt Science Fellows, an initiative in partnership with the Rhodes Trust that focuses on scientific leadership and interdisciplinary research to provide the next generation of leaders and innovators with the tools and opportunities to tackle the world’s most significant problems and maximize scientific opportunities for society. The program will support Fellows with a $100,000 personal stipend, mentorship and community events as they embark upon a year-long post-doctoral fellowship. Now entering its second year, the Schmidt Science Fellows Program places recent doctoral graduates at world-leading laboratories to conduct post-doctoral research focusing on topics in the natural sciences, engineering, mathematics or computing that is different from the individual's existing area of expertise and is a planned area of future focus. As a PhD student in Nimmi Ramanujam’s lab in Duke University’s Department of Biomedical Engineering, Asiedu focused on developing technologies to address disparities in cervical cancer mortality. She invented the Callascope, a novel, patient-centered, low-cost, imaging device for self-cervical cancer screening. This technology shifts the screening paradigm from resource intensive clinical screenings to self-based exams with the potential to drastically increase accessibility. Asiedu also developed machine-learning algorithms for automated risk assessment of cervical screening images, which provide improved diagnostic accuracy over expert physician interpretation. Long-term, this technology has the potential to enable wide-spread cervical cancer screening at the primary care level, particularly in resource limited settings where cervical cancer mortality is highest. For her postdoctoral research work, Asiedu is looking to pivot her research to developing and applying machine learning algorithms to clinical ultrasound imaging and electronic health record databases for computer-assisted risk assessment of malignant lesions. Asiedu is Duke’s first Schmidt Science Fellow, and is among 20 recipients who include scholars from Cambridge, Oxford, Harvard, Princeton and University of British Columbia. In addition to the post-doctoral placement, the program will also feature five weeks of high-level courses and experiential workshops that will explore a diverse range of scientific advances, conversations with some of the world's pre-eminent scientists, policymakers and private industry leaders for immersive leadership experiences that will help them build support for their future work. 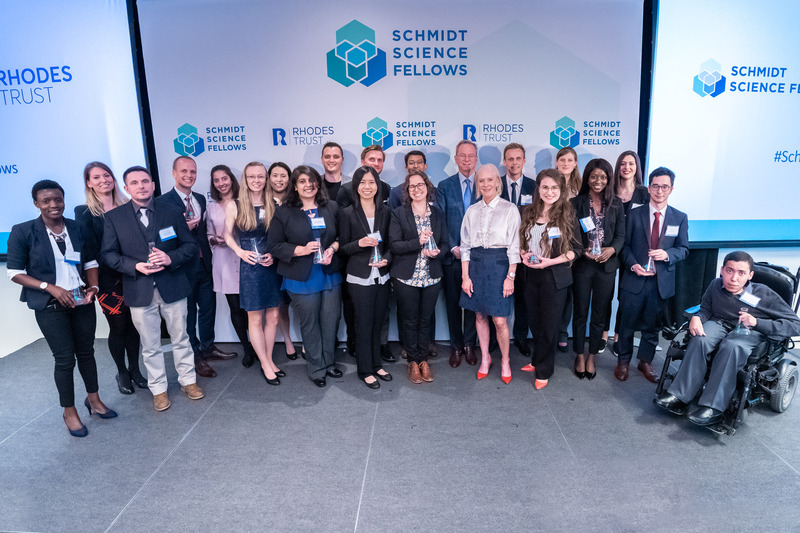 These courses will be hosted by several of the world's leading universities that have partnered with the Schmidt Science Fellows program, beginning at the University of Oxford, United Kingdom in July 2019.